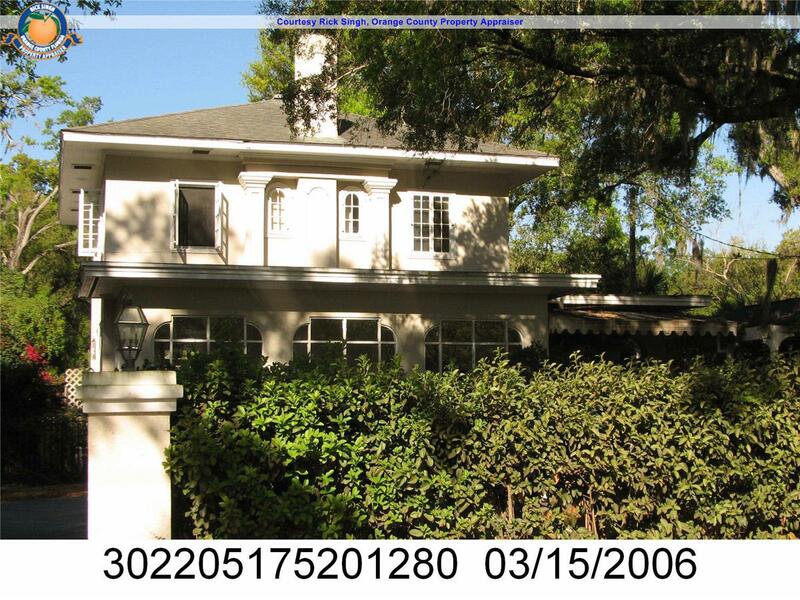 Preservation Challenges in Winter Park: What Would Tocqueville Think? There are several ways of comprehending the reasons why it has been difficult to preserve Winter Park’s built heritage. One way is to see Winter Park as presenting unique challenges. The city is a preferred destination for newcomers and in many cases itinerants. When they think about the past (which, as we shall see, is not often) their memories are of their “home,” of some other place or places where they have roots. Their attachment to Winter Park’s over one hundred and twenty-five year old past is at best tenuous and very possibly non-existent. As Central Florida has grown, it has gotten increasingly difficult for people of ordinary means to afford to live in Winter Park. 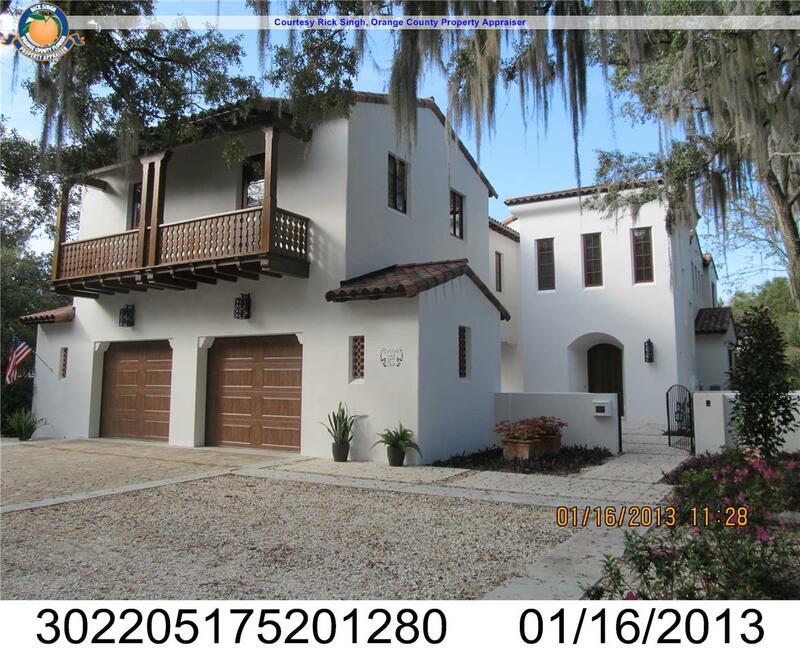 And while the wealthy are attracted to Winter Park for its charm and historic ambiance, they typically aren’t willing to put up with the small bathrooms and closets and other design challenges of say, historic Virginia Heights’ little nineteen-twenties bungalows. This is to say, they like living in a historic community, but don’t really see a role for themselves in preserving it. 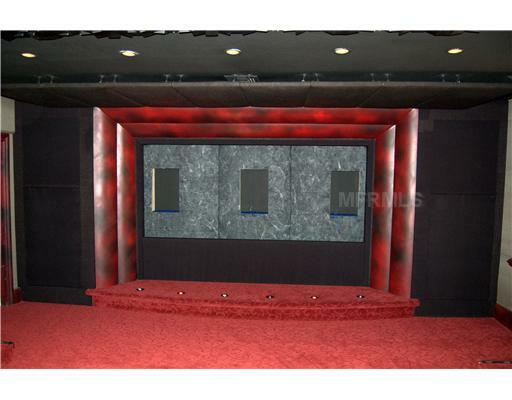 …a larger home with more modern features. Then, there is the matter (not unique to Winter Park) of multiple competing interests who are affected by historic preservation: real estate developers, commercial investors, neighborhood residents, certain politicians and others who believe preservation threatens their interests. Not surprisingly, preservationists find it difficult sledding in the face of these contending, often contentious, influential groups. But there are two other considerations that reach far beyond the local struggle in Winter Park. Very often controversies in a small community in this country reveal deep-seated American social pathologies. In the effort to save historic buildings and neigh-borhoods in Winter Park preservationists have come face to face with two embedded American characteristics that add additional burdens to their efforts. The first is the age-old American conflict between individualism and public good. As early as the 1830s, the famed political theorist Alexis de Tocqueville astutely commented on the dynamic, but potentially destructive, individualistic behavior of most Americans. Tocqueville is careful to distinguish between individualism and “egoism,” or in today’s parlance, self-centeredness. 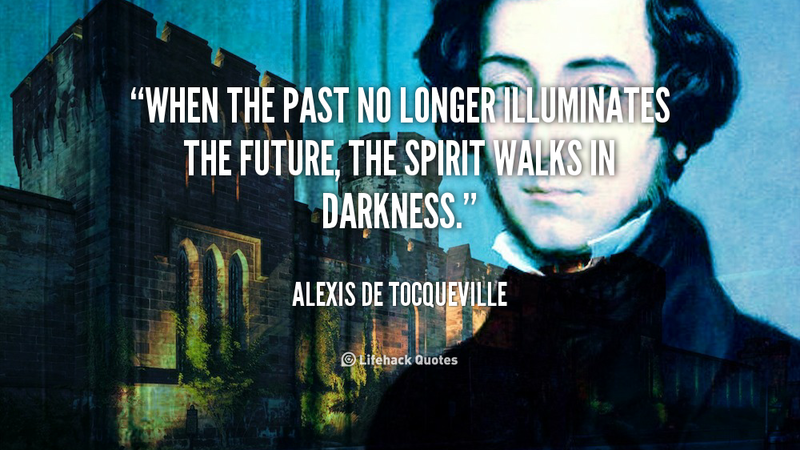 Egoism, Tocqueville argued, is instinctive, an innate human characteristic. On the other hand, individualism is a learned trait that sees public world and the private world as two separate spheres. The average American, Tocqueville observed, is “disposed to withdraw himself into a circle of family and friends and with this little society formed to his taste, he gladly leaves the greater society to look out for itself.” When interest in the public world (which the Founders called “public virtue”) wanes, self-centeredness becomes the dominant preoccupation. If and when that public world impinges on private interests, (as with the attempt to create historic districts) then individualists are aroused in opposition, often raising the cry of “violation of property rights.” Such claims, however, frequently mask the deeper sentiment of individualism, that is, the belief that the right of individuals to do as they wish with their property is more important than the public good of preserving historic landmarks and neighborhoods. The second factor militating against historic preservation (and closely tied to the first) is the American disinterest in the past. From the beginning, this continent was settled by people who fled their past, by those determined to remove history from their lives. Subsequently, settlers moved west with the same intentions: to excise the past and to turn their eyes to the future. In an 1839 article one writer saw the United States as “The Great Nation of Futurity,” “with no connection to the past.” Today we are the heirs of this ubiquitous indifference toward history. It is no accident that, compared to Europe (the Old World), America (the New World) is a country with few monuments or ruins—that is, without visual evidences of the world of our ancestors. In Europe (for that matter most other societies), historic monuments daily remind even the simplest farmer or worker of the spirit and accomplishments of their ancestors. In America, those built evi-dences of the past are often demolished to make way for new structures. As a result, visual memory of our forebears’ legacies fade and then vanish. Our ties to the past are thereby diminished. 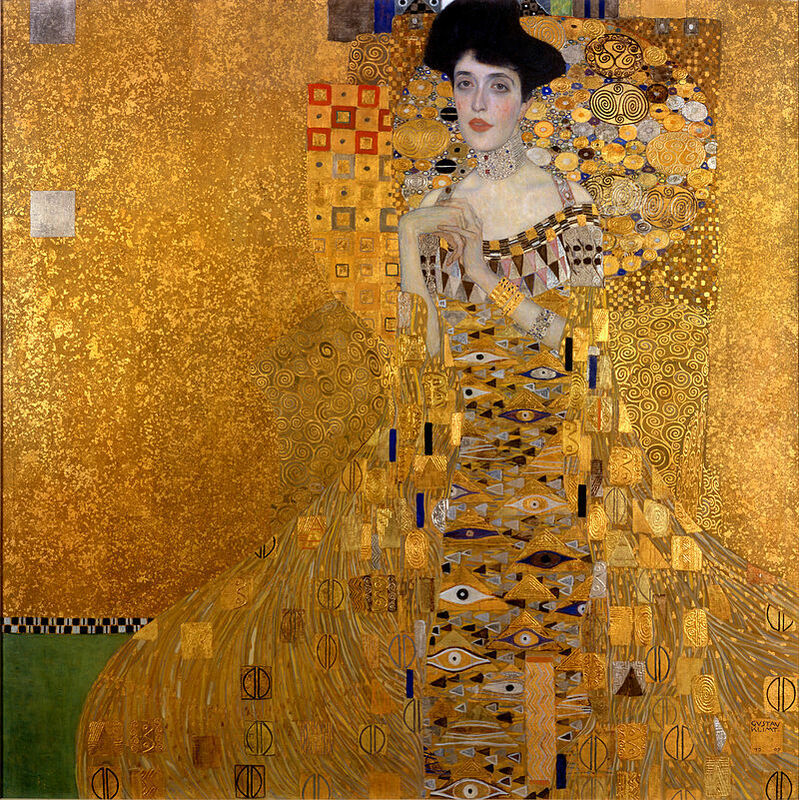 At the end of the movie, “Woman in Gold,” Maria Altmann (played by Helen Mirren), pauses for a moment after the recovery of a painting stolen by the Nazis and at the time housed in the Austrian national museum. Instead of celebrating her victory, she leaves her lawyer and visits the spacious Vienna apartment where she and her family had lived before expulsion by the Nazis. Scenes from her joyful family life come flashing into her mind (and on the screen) as she moves from room to room, emotionally recalling some of the most memorable moments of her childhood life. The recovery of the painting was not enough to excise the anger that had been festering since she had been forced to leave her anguished parents in one of those very rooms. To replace those harrowing memories with the carefree ones of her childhood years, Altmann sensed that it was necessary to experience personally her former home. As she moved from room to room she finally came to terms with her Vienna past, and could now move forward without anger. The second story is a personal one and has a less gratifying conclusion. During World War II my father, who was too old for the draft, secured a job in a defense factory on the Gulf coast of Texas. The family moved there in February 1942. After a period of homesickness, I adjusted to my new community of Brazoria, made many close friends, and thus spent three very pleasant years there. At the end of the war, my family moved back to our original home. In the subsequent years I retained vivid memories of the little town (population about 2,000), the houses on our street, the church around the corner, the dairy at the end of our long block and the fields where we played football and baseball. In 1985 my sister and I drove from her home in Houston to revisit our ex-periences in Brazoria. After forty years I expected to see some changes in the little town. What I did not anticipate was the absence of any recognizable evidence of our past. Every feature of the natural and built landscape that I had known and remembered had vanished. No original buildings had been left standing. I had wanted to walk down the streets, to reminisce with my sister about our experiences, but there was nothing left to remember. A part of my past had disappeared along with that entire original landscape. I still had visual memories in my mind but the longing to attach those memories to something concrete remained unfulfilled. I left with an unexpected empty feeling as if a part of my being had been violated. I still have not come to terms with my disappointment. historic natural and built landscapes of Winter Park, we are robbing ourselves and future generations of the innate hunger to have tangible, visual encounters with the past. Moreover, if, as everyone seems to agree, historic landmarks in Winter Park are the city’s most attractive (and lucrative) feature, demolishing these historic treasures is the equivalent to using seed corn make soup. In time the very factors that make the city attractive will have vanished. Perhaps the only way to persuade those who oppose historic preservation for ideological reasons and those developers who oppose it for material gain is to convince them that historic preservation is even in their self-interest. But don’t hold your breath waiting for conversion. The best way to secure our historic landscape is (in the Lord’s words to Job) “gird your loins” for the work ahead and elect friends of preservation to public office. Dr. Jack C. Lane moved to Winter Park in 1963 to join the history faculty at Rollins College. He has authored several books, including The Florida Reader: Visions of Paradise, which he wrote with Rollins English Professor Maurice O’Sullivan. Now retired, Lane lives on Lake Virginia in Winter Park and serves on the board of the Friends of Casa Feliz. Do you remember the 1970s TV game show called “The Liars’ Club”? The show, hosted by Allen Ludden, involved a panel of celebrity judges examining unusual-looking objects and offering humorous theories on their possible usage. What are those, you ask? Why, an antique curling iron and a pastry monogram imprint, of course! If, somehow, you can find a more exhaustive collection of antique fixtures and furnishings somewhere, I will guarantee you that the merchandise isn’t as artfully displayed. If the Disney Imagineers were to design a vintage hardware store, they couldn’t do better than Hinge. 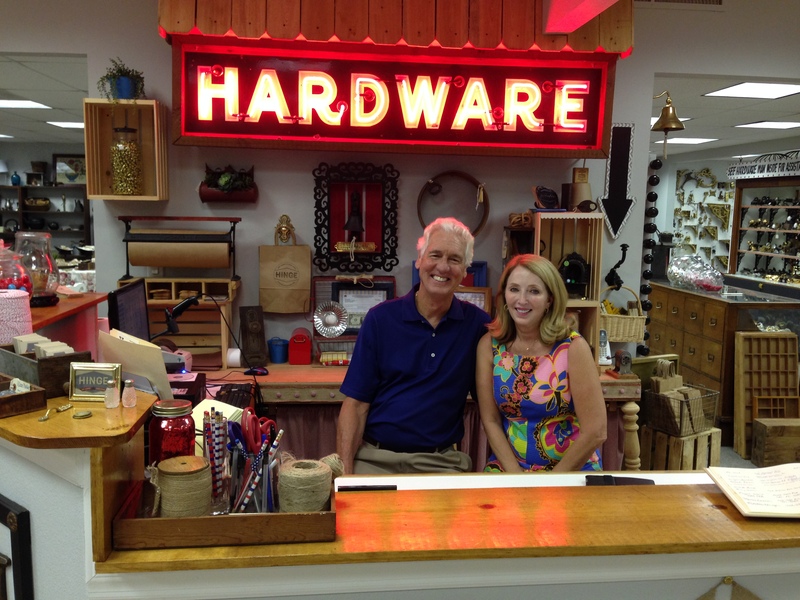 During my visit, I was led on a tour of the showrooms and stockroom by owners Rick and Nancy Bosserman. For this historic preservationist, it was like a trip to the candy store. Literally, in fact, since interspersed between the gorgeous vignettes of antique furnishings and fixtures, are tubs containing old-fashioned candy and boxes of Cracker Jack, in case you get peckish. And you probably will. I defy you to get in and out of Hinge in less than an hour. I could easily lose myself for days in the stockroom alone. 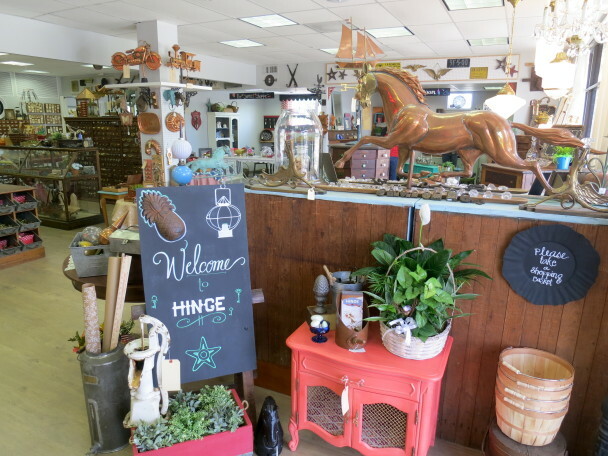 If some of the merchandise looks familiar, you may remember George Baker, aka The Hardware Man, who operated a store at Renniger’s Antique Mall in Mount Dora. 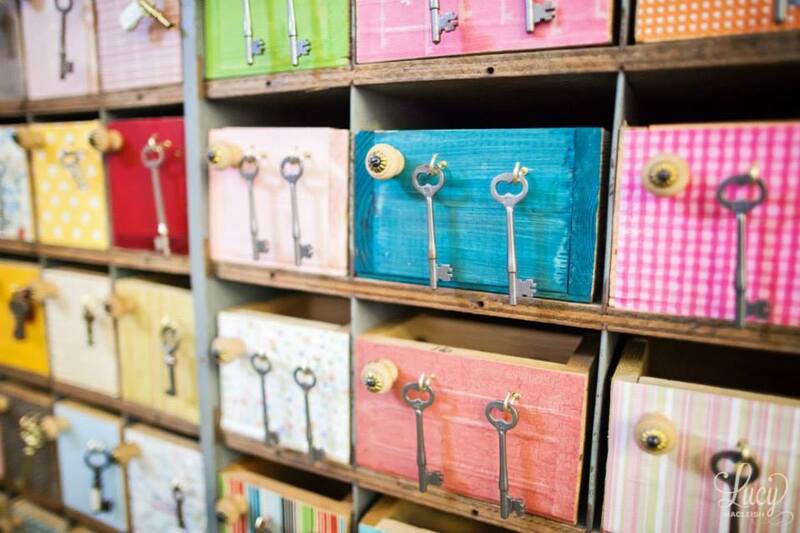 When the Bossermans, who visited the store often to find hardware for their 1941 James Gamble Rogers-designed home in Orlando, learned that the Hardware Man was closing his doors, they bought him out, antique padlock, stockroom, and vintage barrel. For Rick, a man of faith who worked in his family’s real estate brokerage firm, First Realty Advisors, for 40 years, this segue into the hardware business was a calling. 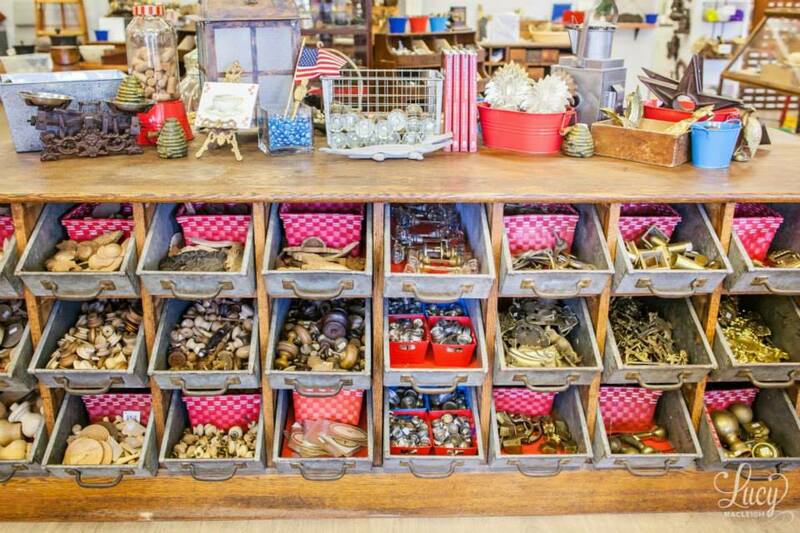 “It was obvious to me that the store needed to be purchased, and this great collection needed to remain intact.” So, he’s passed the real estate business to the next generation of Bossermans, while he and Nancy devote themselves full-time to getting Hinge up and running. The purchase of the business was a leap of faith in more ways than one. Rick had no experience in retail sales, but set about converting an 8,700 square foot building located at 1506 N. Orange Blossom Trail, to a showroom and warehouse. 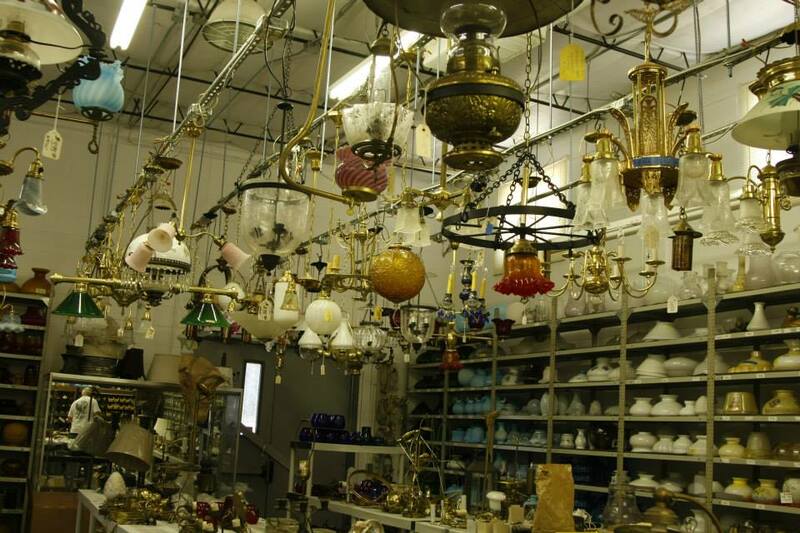 VINTAGE LIGHTING: CUSTOMERS CAN MIX AND MATCH GLOBES, BOWLS, CHAINS AND BASES. GET A HANDLE ON THE SELECTION! 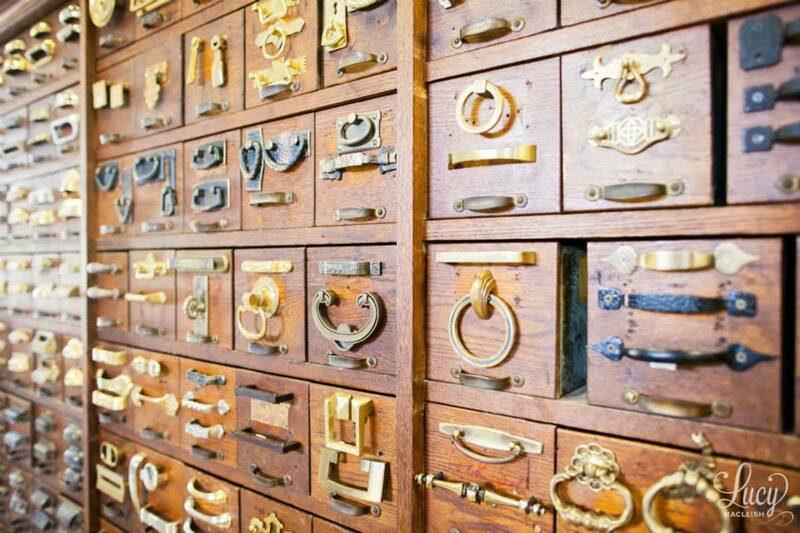 LOSE THE KEY TO YOUR ANTIQUE HUTCH? YOU’RE IN LUCK. They say it’s easy to sell a product you believe in. If this is the case, Hinge will be wildly successful. 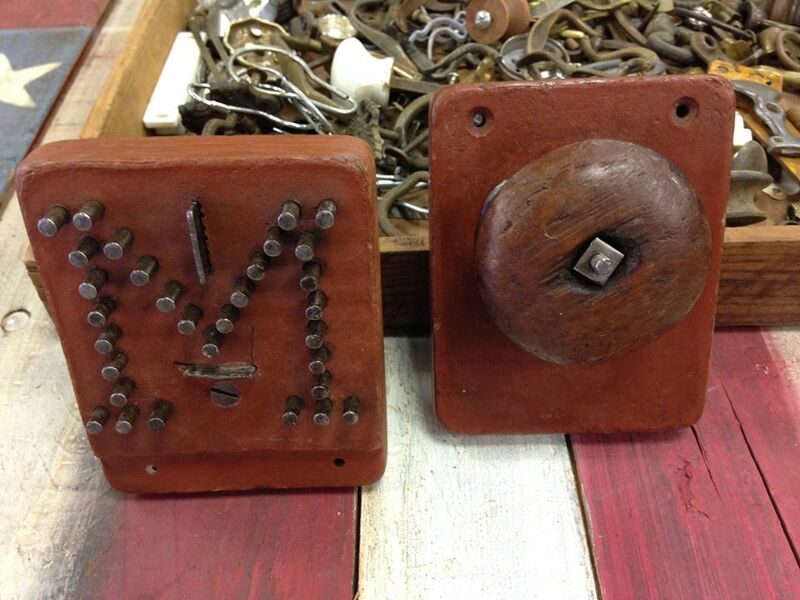 The Bossermans and their team love vintage hardware. Rick adds, “our hardware comes from a time when if something was broken, you repaired it, you didn’t throw it away.” He shows me a carpet binder from 1902 that still cranks perfectly. “Runs like a charm,” he smiles. 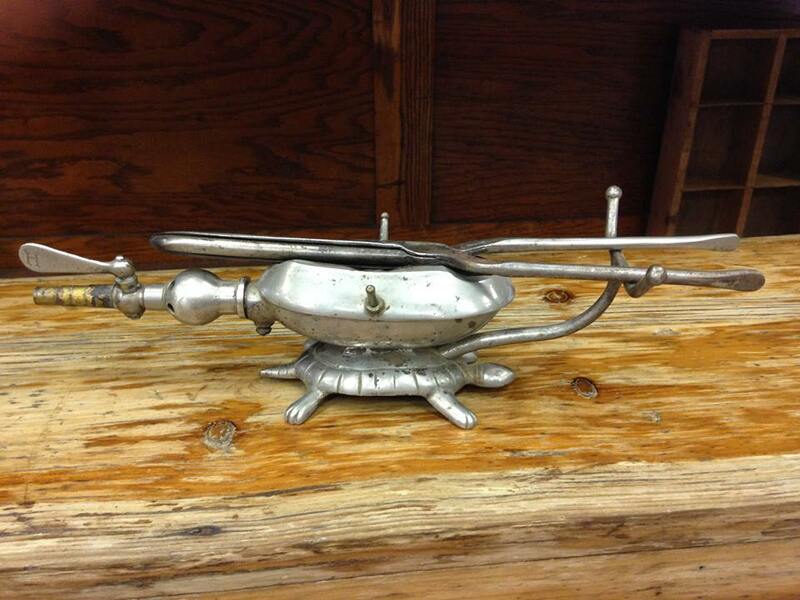 Next up, Rick is working on the company website, www.hingevintagehardware.com, to broaden Hinge’s market to cyberspace. Lucky for us, we Central Floridians can visit Hinge in person. 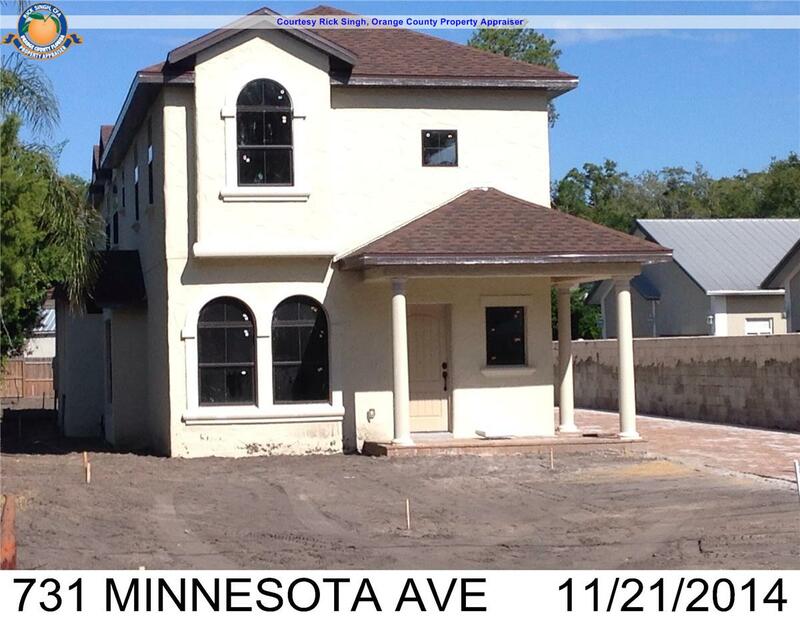 Hinge is located at 1506 North Orange Blossom Trail in Orlando. Store hours are Monday through Friday, 10 to 6, and Saturday from 10 to 4. 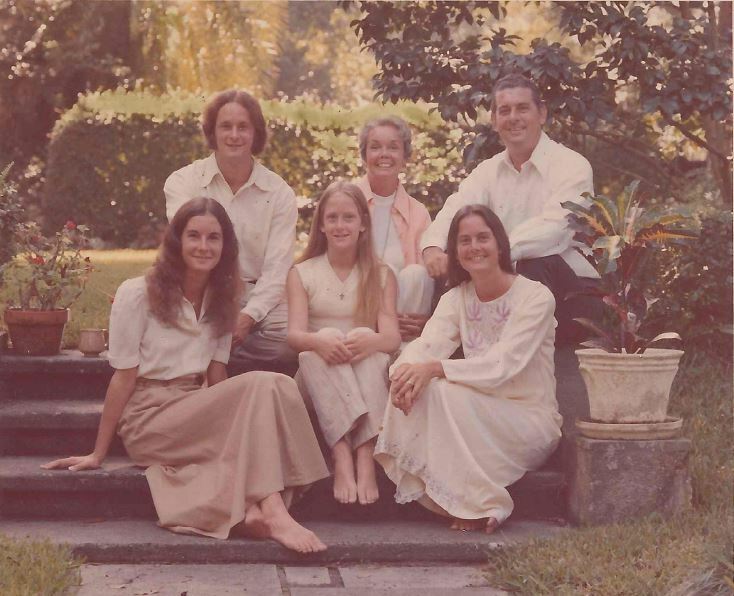 Pat Robertson vividly remembers the year 1969, when she was 14 and her parents wrestled with buying their stately home at 950 Palmer Avenue, then known as the Joshua Chase House. She says her parents couldn’t really afford the house—it was $89,000, which was a huge stretch for the couple raising four children. Pat recalls, “After church one day, my dad tried to interest my mom in another, less expensive house that was for sale on Georgia Avenue. My brother and sisters and I got out of the car, and ran all around that house and through the backyard. We thought it was great.” Her mother refused to get out of the car. 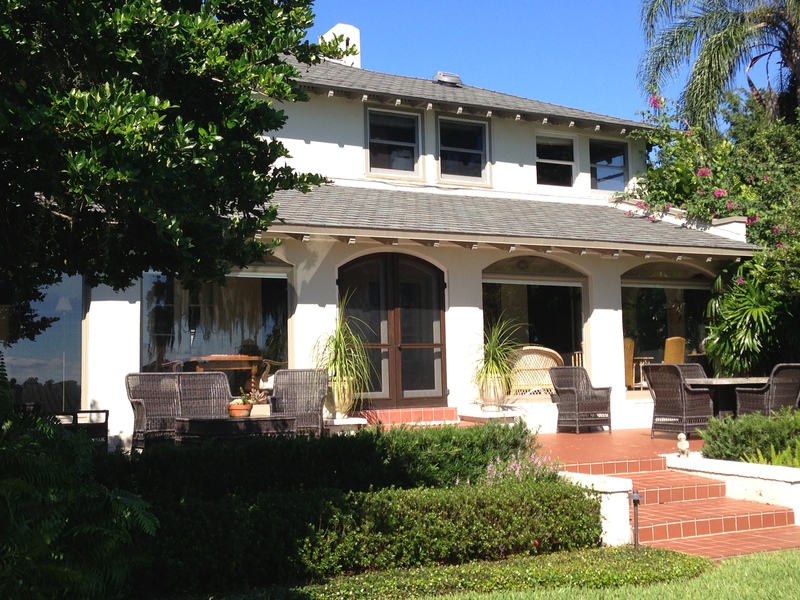 She had fallen in love with the 1926 Mediterranean on Palmer, and if they couldn’t afford it, she’d just as soon stay in Maitland. As is often the case when it comes to real estate transactions, the wife prevailed. Page Schenck convinced Jay, who with his brother Virgil ran the Schenck Company beer distributorship, that she would be willing to sacrifice other budget items in order to move into the Chase House. And Jay held her to it. Pat remembers that they lived in the house without living room or dining room furniture for more than a year. 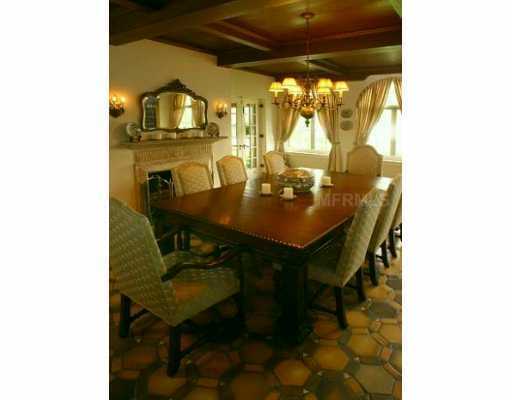 But Page was content because she loved every inch of the house, even unfurnished. “Mom and Dad could make do with less, and wanted their kids to do the same. They didn’t believe in buying things on credit. My sisters and I had a meager clothing allowance. We made our own clothes.” One year, when Pat and her younger sister were teenagers, they both asked for 10-speed bikes for Christmas. “We came down Christmas morning, and they had gotten us one 10-speed bike, and it was a tandem,” laughs Pat. 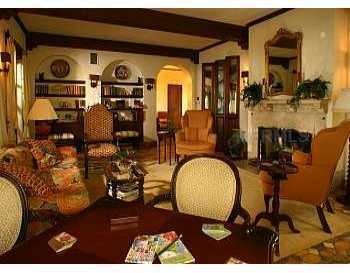 Page instilled in Pat her love for the craftsmanship of an old home. “Every detail of that house – the windows, the door hardware, the light fixtures, the slate floors—was a work of art,” remembers Pat. In fact, they studied together the original letters that citrus magnate Joshua Chase had written to the contractor while his house was being built, and the original plans, which were lovingly stored in a brown suede bag. In a stroke of kismet, they discovered that the plans were dated April 1, Pat’s and Page’s shared birthday. The house exuded history. 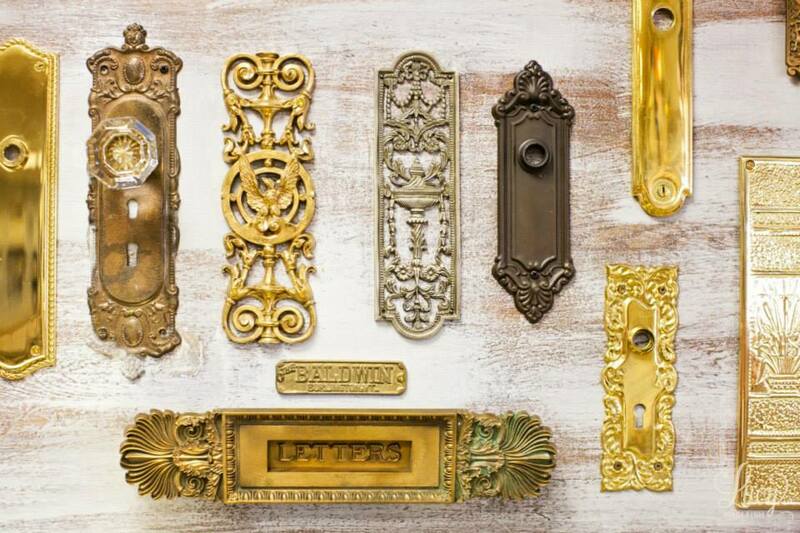 Pat said that each of the beautiful mahogany bedroom doors had door knockers; evidently the house received overflow guests from the nearby Alabama Hotel in the 1930s and 40s. The original floor tiles had been used as ballast on a ship that came over from Europe in 1925. Over the garage, there were two servants’ rooms that had dial recievers on the wall; each bedroom in the main house had a buzzer that communicated with the receiver to summon the servants to the appropriate room. The Schencks didn’t have live-in help, but the kids had a grand time playing with the buzzers from a bygone era. The house also had its own incinerator and chimney for disposing of trash, common in the 1920s but a curiosity in the 1970s. 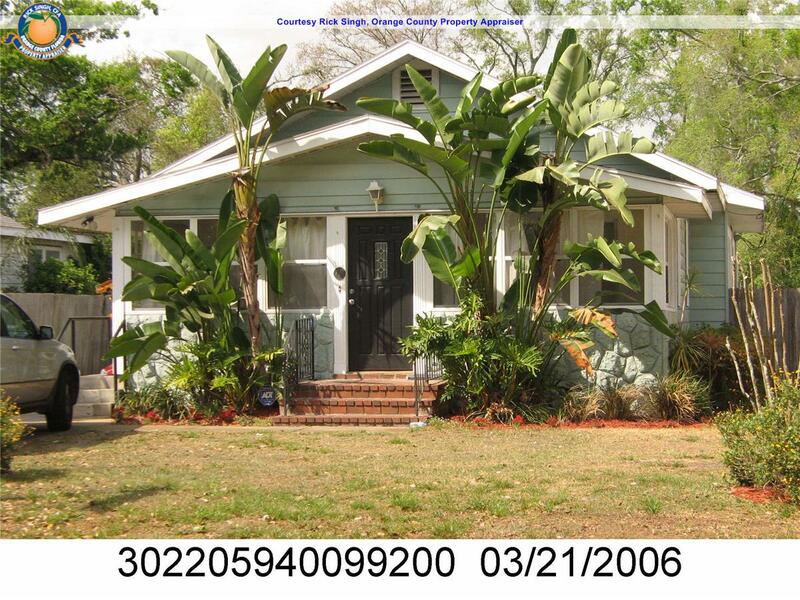 Unfortunately, the siblings couldn’t reach consensus on whether to list it on the Winter Park Register of Historic Places, which would have protected the house from demolition, but had the potential for reducing the selling price. 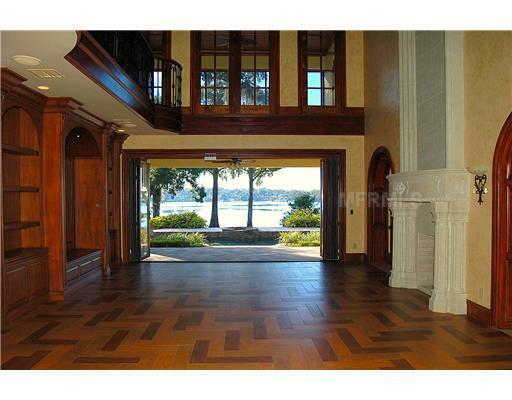 Pat prayed that someone would buy it who would cherish the house, its history and its eccentricities, and not just want the prestigious lakefront lot. But this was not to be. In 2011, Fifth Third Bank sold the house to the current owner for $2.65 million. As a result of what happened with her parents’ house, Pat got active in historic preservation. “You have to take the poison in your life and make something good come from it,” she says. She credits serving on the Casa Feliz board as part of her healing. “If I can help save other significant Winter Park homes from ending up like my parents’ did, I want to help do it.” Currently, Pat serves on the steering committee of Preservation Capen, which will oversee the move of the 1885 Capen House this December. She’s convinced some of her siblings, who were chagrined at the demolition of their parents’ home, to contribute financially to saving the Capen House. One house that will never meet with the wrecking ball is Pat’s own lakefront home on College Point, an eclectic Italianate house with craftsman-style features, where she lives with her husband Randy. 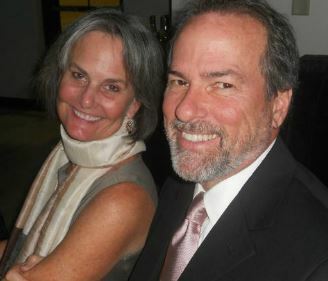 They purchased the home from Thad and Polly Seymour in 2007, and like her mother before her, Pat knew instantly when she crossed the threshold that she was meant to live there. “I’ve never been in a house with such clean, good energy. 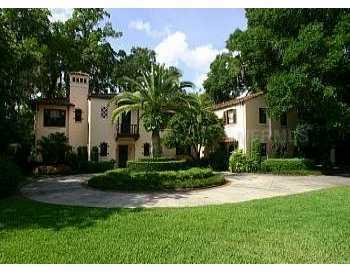 I told Randy, don’t tell me what the taxes are, because then I won’t want to buy it, and I’m going to buy this house.” The 1933 house is listed on the Winter Park Register of Historic Places. If that happens, it means that Winter Parkers would find it a lot more difficult to demolish a 1926 landmark home to build an oversized faux chateau with an in-home theater. 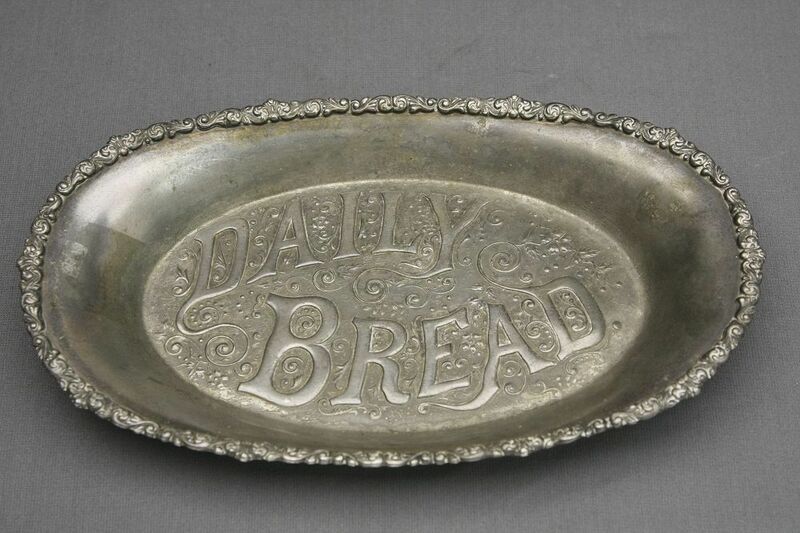 But then again, maybe we could all learn to make do with a little less.